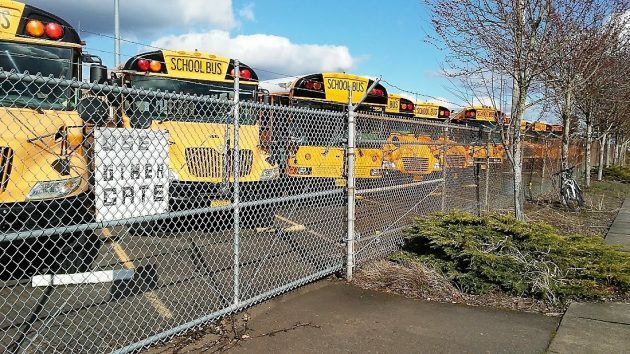 On Presidents Day, the Greater Albany Public Schools’ bus garage on 13th Avenue was quiet. The district wants to build a bigger one on Ferry Street. Leaders of the Greater Albany Public Schools have been planning for a bigger depot to park and maintain the district’s buses. Now the project is up for the city’s and the public’s review. The plans call for covered and partially covered parking bays big enough for up to 120 buses along with offices and employee parking. The district has about 70 buses now and is planning for continued growth. The new layout would be situated on a five-acre, undeveloped parcel GAPS owns east of Ferry Street at about the height of 24th Avenue. Buses would enter and leave via a private drive connecting to Ferry Street. On the other side, a gated emergency access would connect to a dead-end section of Lyon Street north of 25th, and from there to Marion Street. GAPS Business Director Russ Allen told me the district estimates the project may cost roughly $4.5 million and, if everything goes smoothly, should be ready for use by the end of the summer of 2019. It is not part of the $159 million school construction and renovation program voters approved last year. 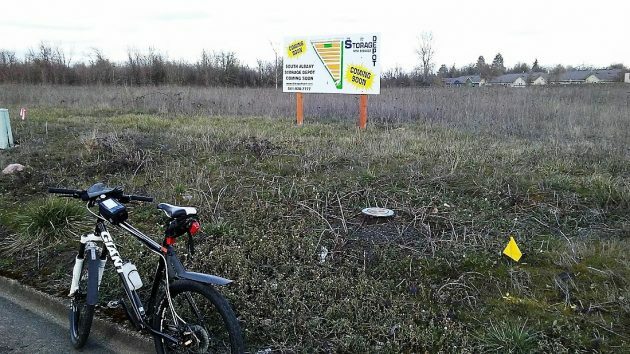 Instead, the district hopes to pay for most of it with state transportation funds and the proceeds of selling the 3.5-acre GAPS bus garage on 13th Avenue near the Linn County Jail. Allen says the project has been thought about for about five years. Now it’s being pursued in collaboration with developer Scott Lepman, whose company owns a large tract fronting Ferry Street just south of the GAPS land. (As I understand it, this site had once been eyed for Little League ball fields, but that idea evidently faded.) The drive from Ferry to the bus garage would run along the north side of the Lepman storage depot. GAPS and Glorietta Bay, along with three other property owners (two adjacent and one nearby) are asking the city to rezone their land from “industrial park” to “light industrial.” GAPS also needs a conditional use permit for its bus garage, and Lepman has submitted a site plan for review of his storage project. 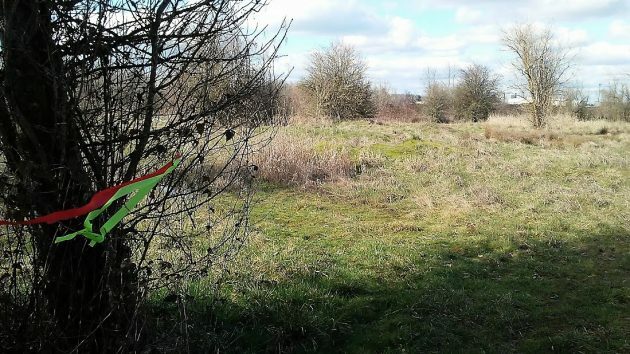 The bus garage site is undeveloped and covered with scrub and wetlands. The proposed self-storage facility is planned to go here, as seen from Ferry Street. It’s about time. We were stretched thin at the old bus garage when I was superintendent back in the 90’s. This is a long overdue improvement. No reason to have all busses in one place. Too many miles are driven empty. Properly located garages should be used to minimize fuel/pollution costs. There are computer systems available to design locations and routes to minimize costs.